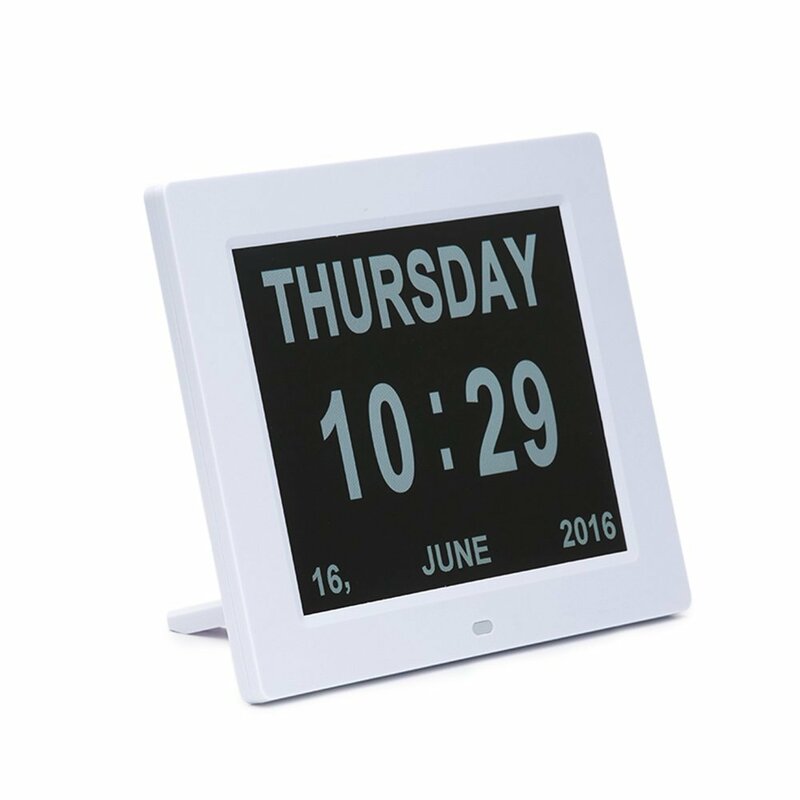 The easy to read, Digital Day Clock features a large 8 inch screen and is designed to help people living with dementia or memory loss. Setting the time and date is simple and, once done, the clock can be unplugged and moved without the need to reset. The automatic nocturnal mode, dims the display between 7pm -7am making it perfect for bedroom use. I bought this product for my Mother who suffers Dementia, We found this very easy to use and set up and this helps her distinguish between night/day very easily. We have recommended this product to several other people in the nursing home, good quality and excellent value.